It’s time for a major update because I’ve been on a big adventure with baking! 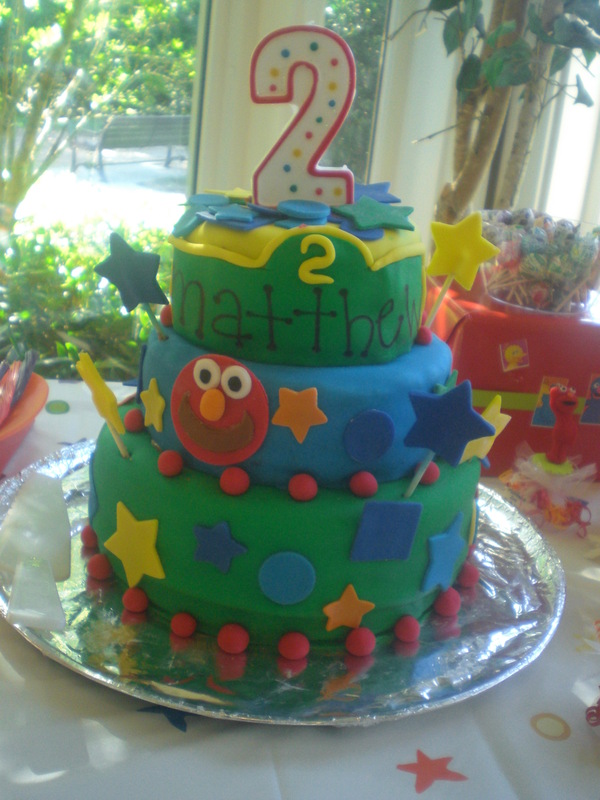 Here’s my first huge fondant cake. 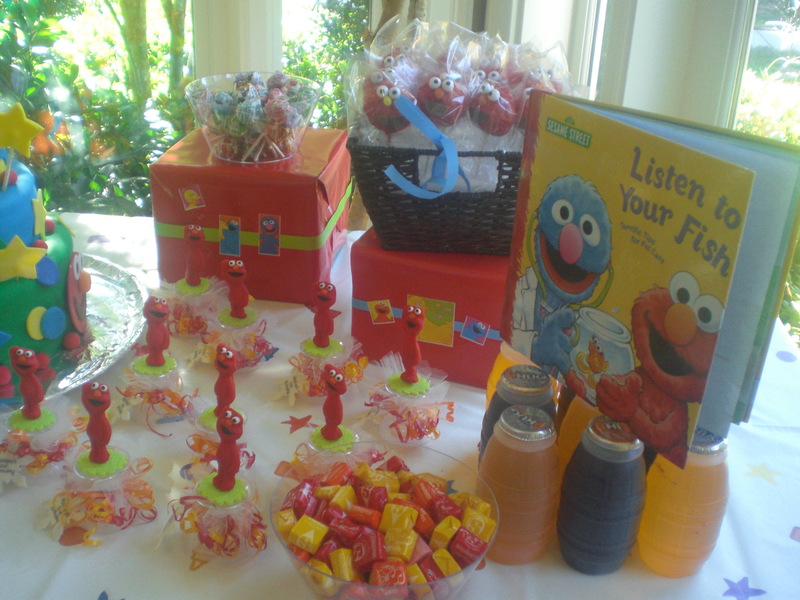 We had an Elmo themed party for my son’s 2nd birthday. 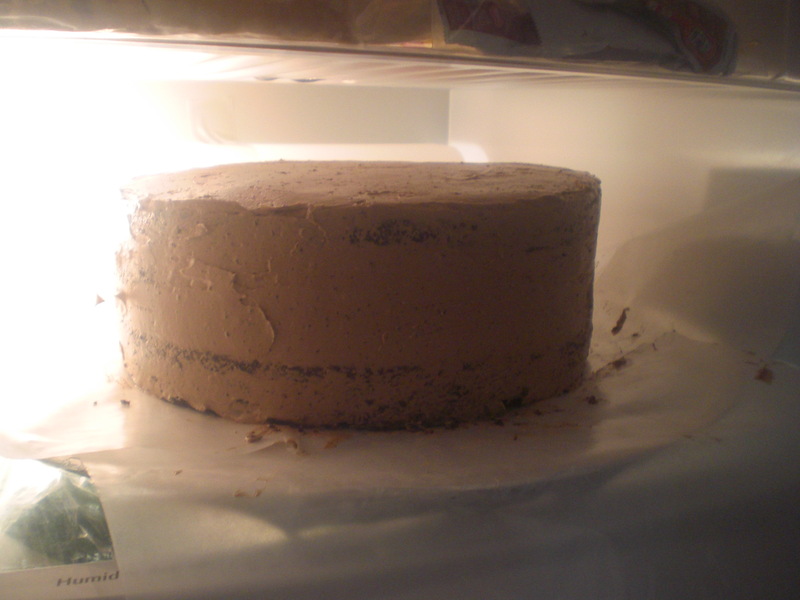 Chocolate cake with chocolate mousse filling and chocolate buttercream. I made the fondant out of marshmallow and confectioner’s sugar (aka MM Fondant). Unfortunately, the texture of the fondant was too dry and kept cracking. I was lucky enough that all the decorations covered the cracks :) Gotta keep practicing! 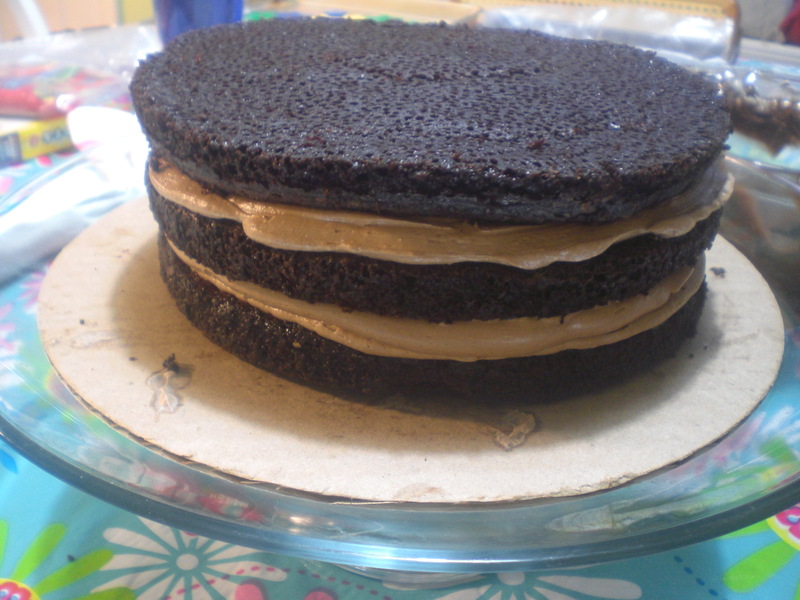 there were 3 tiers and 9 cakes. this was one sheet of the decorations. 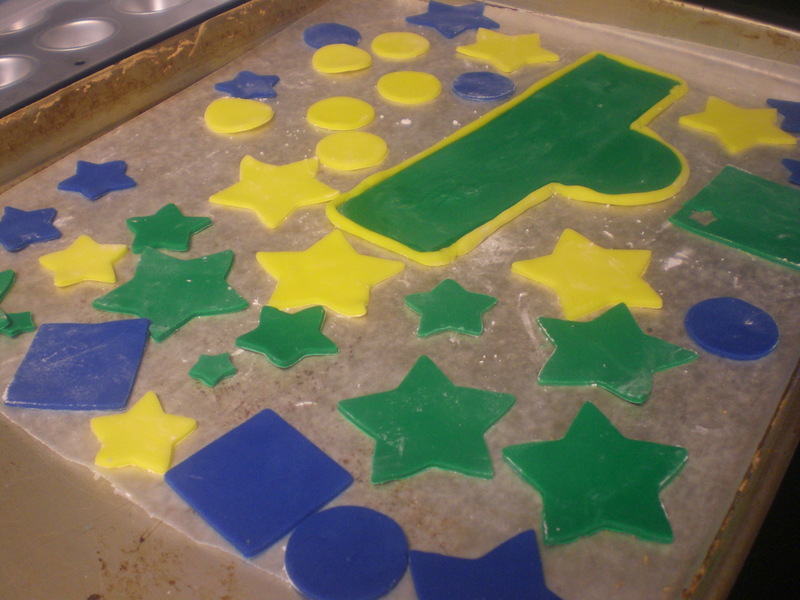 I made a lot of extras, which in the end worked out for the cracks on the fondant. yay! 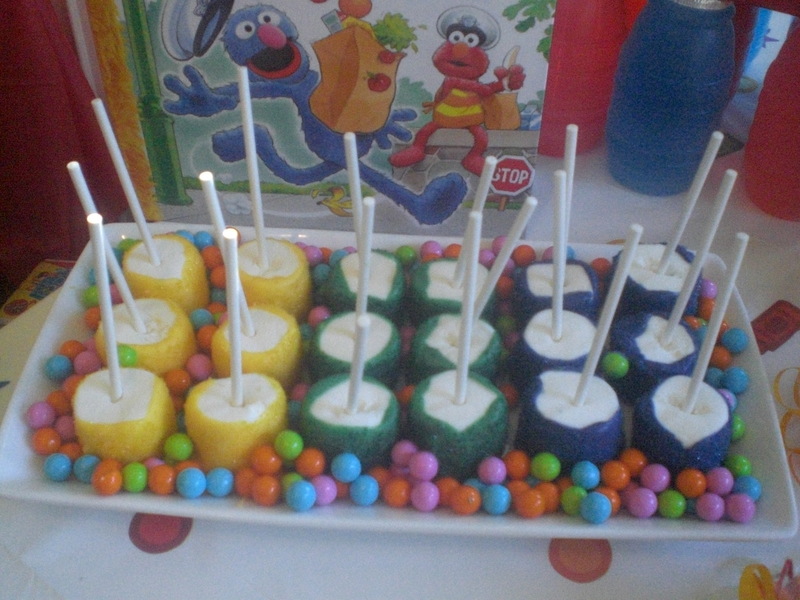 the tablescape again :) those round things are home made rice krispies treats with chocolate and m&ms! 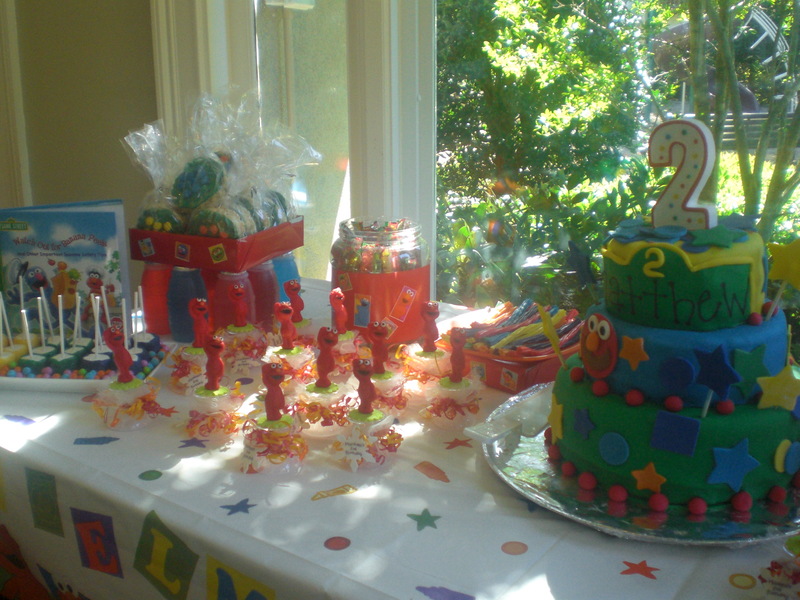 I had so much fun making all this and decorating the table! I figured why not go all out for my little boy?! I think the key tip is to be prepared and plan it out in advance. 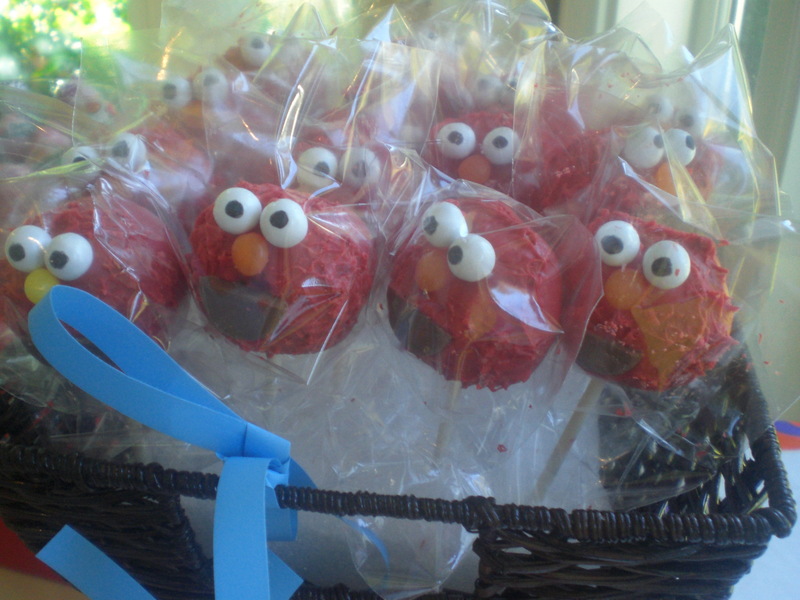 Hope you all enjoyed the sesame street and elmo-ness!